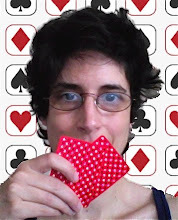 Raise or Fold: Learning (From) Poker: Play On! Glad the "tweak" still works. The Donkey Test seems to be a decent test. Nice to read a fresh post, the last one had a distinct bitter flavour, which I happily proceed now to erase. Wouldn't it be great if now that you have decided to find a "proper" job poker-profits rise to the max ? I scored a 99 while watching some of new shows on TV tonight. Break even/average probably describes me reasonably well. Have you talked to anyone that's paid the $10 for the analysis? Just curious if they thought it was worth it. I took the test while working at the office : BAD IDEA ! It'd be better to do it at home, relaxed and sipping some green tea. Score 107...........room for improvement ! Speaking of scores, what do you guys think about the grading Pokertableratings offer on their website?